Crypt robbing is such a glamorous business. Wii U game libraries are pretty desolate when it comes to co-op experiences. There are a few notable exceptions, of course, but when a new co-op title gets teased for Nintendo's system, people need to be whipped into a frenzy. Case in point: Bandai Namco's teaser for Project Treasure, a co-op action game heading to Wii U! Not much info has been released about Project Treasure. 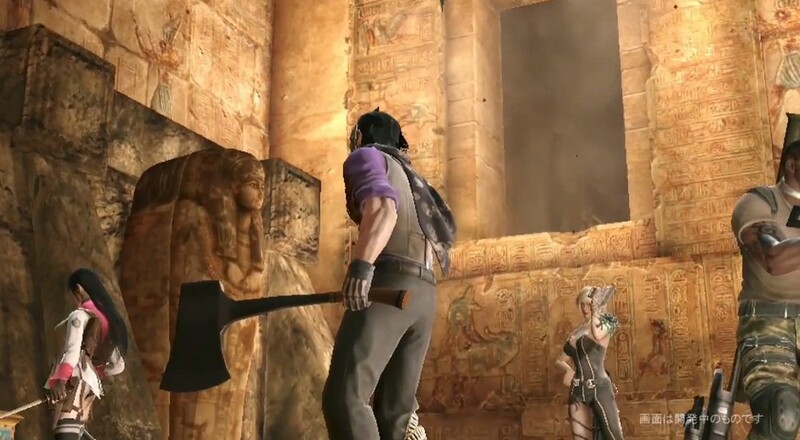 All we know is there's lots of loot to find, lots of things to shoot, and apparently lots of tombs to raid. First and third person action sequences show off what appears to be combo-oriented battles. Solving puzzles to get at said loot looks like a true test of your team's cooperative abilities, as well. While one person deciphers a tablet, everyone else has to watch their back. Wouldn't want a giant spider to interrupt the crypt robbing, would we? More information about Project Treasure is reportedly coming soon. A North American release has been confirmed, though no specific dates have been announced. Page created in 1.1299 seconds.